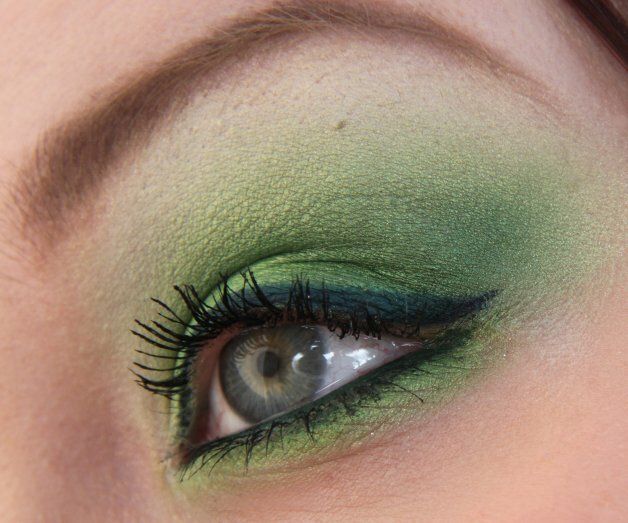 Makeup your Jangsara: Do zombie-goths dream of Absinthe? Do zombie-goths dream of Absinthe? Maybe these looks make it up to you? I don't know why, but I actually liked this look a lot. Done with Sugarpill Posion Plum and Love+. I have the sweetest husband in the world, and from time to time he lets me paint his face. Usually I do something dark and gorey, and I did this time too. 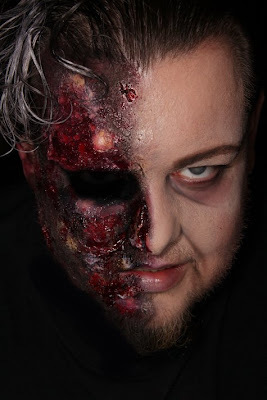 This idea came when my ex-husband asked me if I could do Two-Face mask from Batman (Dark Knight version). Eyes are photoshopped, everything else is dermavax, liquid latex, fake blood and facepaint. I'm gonna try and do zombie look! 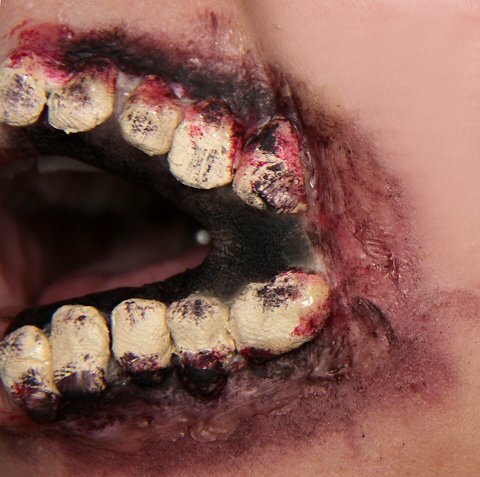 Actually, if my ex-husband is going to dress up as Two-Face, I think I might try those teeth on him. 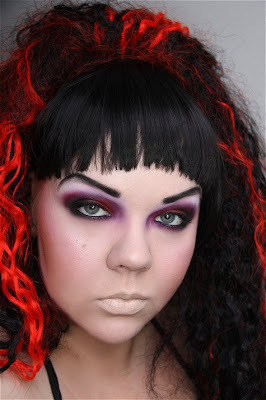 But what it comes to "normal" makeup, I've been quite lazy. I really hope that my Sugarpill order comes soon, can't wait to try Royal Sugar and Asylum! Nothing but fantastic looks! 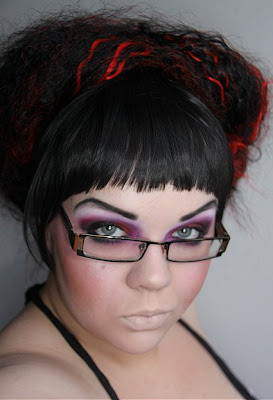 I like you a lot as a Goth, the work on your hubby is phenomenal and I like the last look a lot. I think I'm going to try something with green and purple, I find greens hard to pull off on blue eyes but they look so great on you! Love the goth look, though id have paired it with dark lips aswell lol. and a fellow BSG fan! woo go bsg. Whose your favourite character? Mine is Head Six! 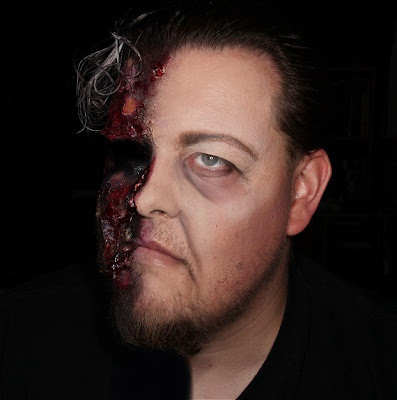 I loved your goth makeup, and two faces makeup too! You are incredible! I am so impressed! the facepaint is awesome! 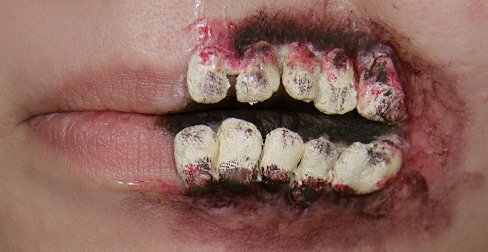 And I wonder what kind of look you'd make with those teeth. 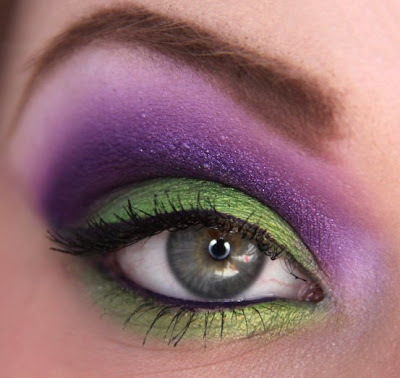 The green & purple look rocks! 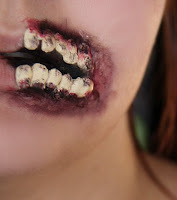 Wow, you are an absolutely amazing make up artist! Your zombie look as well as the half and half face is amazing. I also really want to try your green and purple look, it's very pretty. 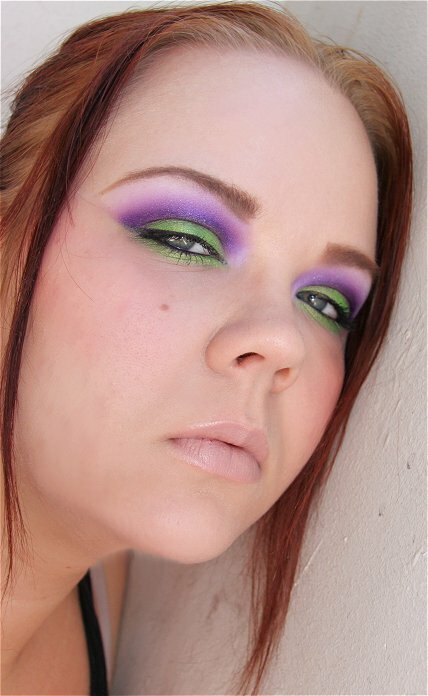 I love the vibrant colors! 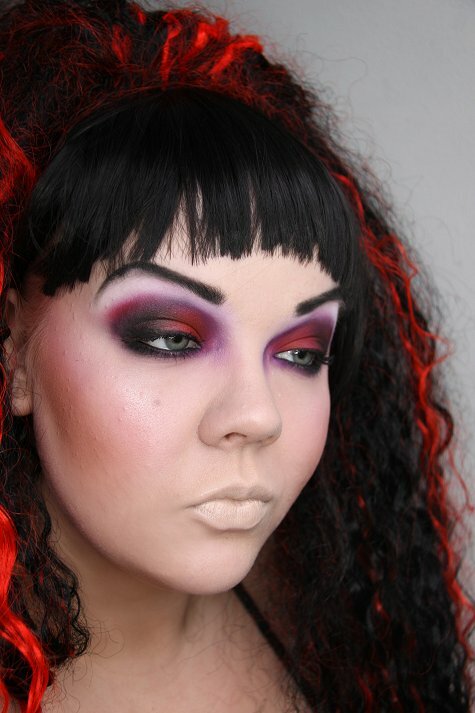 i just can't help but admire your blending skills, everything looks so flawless! Amazing looks. 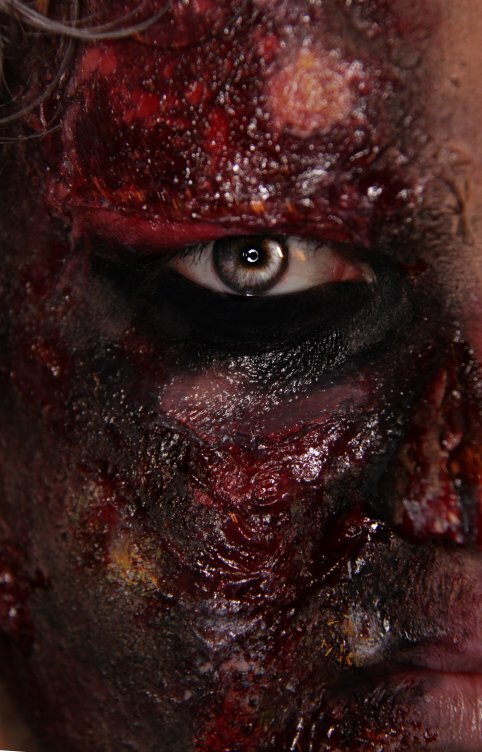 I loooove doing bloody/gore makeup, I don't get to do it enough. Awesome, and the looks are gorgeous! omg!!.. Gorgeous look.. Creepy but creative.. It looks real..Your very talented hun.. 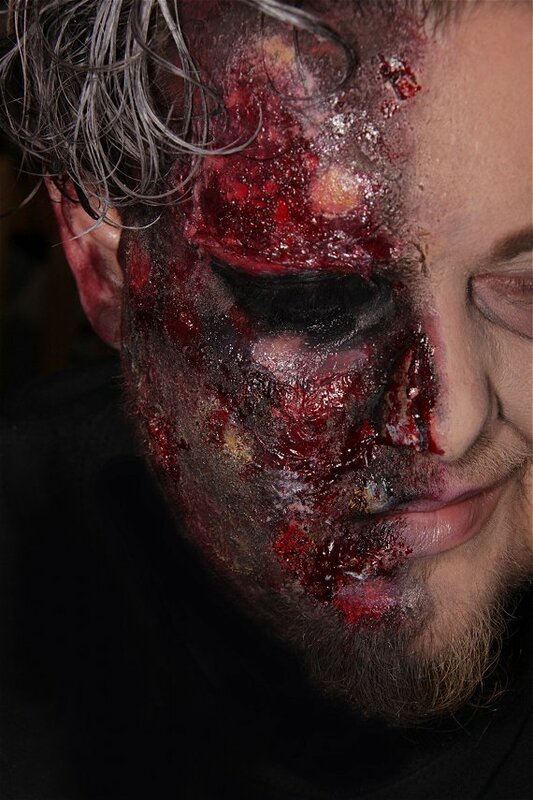 I love the makeup you did on your husband! What did you use? Violetti ja vihreä meikki on paras, tätä täytyy kokeilla!